as you know I am a very avid reader and it would be impossible for me to write a full review of every book I read. I won’t stop writing full reviews entirely but, from time to time, I will write several short ones in a single post. The books thus reviewed will have a common theme or belong to the same genre. So let’s start with the reviews of three classic children’s books, shall we? 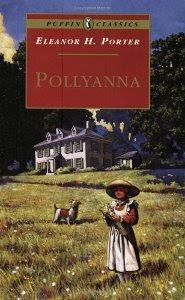 Pollyanna has the undeserved reputation of being a boring book with an annoying protagonist that is always happy even when it seems that there really isn’t anything to be happy about. I approached it hesitatingly, but ended up loving it. It’s the story of a little girl who, after the death of her parents, goes to live with her bitter aunt. Here she will make numerous friends thanks to her cheerful disposition and the ability to find a good side to anything. Pollyanna plays the “glad game”, which was taught her by her minister father (he was inspired by the amount of times the Bible tells us to be glad and rejoice, which is 800! ), with the entire town and soon people start to realise that no matter how bad you think your life is, there is always something to be thankful for and we should face everything with a positive attitude. But that’s not always easy, even for Pollyanna. When she has an accident and is told she will never walk again, the poor little girl doesn’t have the heart to play the game anymore. When the news spreads, everyone rallies around Pollyanna to play the game and show her how what huge impact she had on everyone’s life. The book is not a sermon and it doesn’t preach, despite being deep and very Christian. It’s just a wonderful, uplifting story with a simple but extremely important message we too often tend to forget. I highly recommend it to anyone, bold children and adults alike. After the death of her parents when she was only an infant, Heidi went to live with her aunt. But the young woman can’t take care of her niece anymore and she literally dumps her at her grandfather’s footsteps. The grandfather is an old, grumpy man who lives all alone on the Alps, but Heidi’s sweetness soon wins him over and the two become really close. Heidi also makes friends with Peter, a young boy who takes care of the goats, and his family, especially his sick and blind grandmother. Heidi is blooming on the Alps but after a couple of years, her aunt is back and takes her to Frankfurt to be a companion for Clara, an invalid young girl. The two little girls quickly becomes friends but Heidi is homesick. She misses her friends back home and doesn’t like living in the city. When her health begins to decline, she is finally given permission to go back home, where Clara will visit her. Heidi is a nice story. This little girl is very sweet and always sees the good in people. However, I didn’t enjoy the book very much. There is a good dose of religion in it too, which I usually don’t mind (after all, there is in Pollyanna too and I loved that book), but in this case the book gets pretty preachy at times, which can be tedious. The characters are quite boring too and the language may not appeal to modern readers. This is one of the rare cases when I enjoyed the various movies and cartoons inspired by the book more than the book itself. Maybe it is because the book is somewhat different from the version we all know and love, but I didn’t love it. I did like it though. Dorothy too is an orphan. 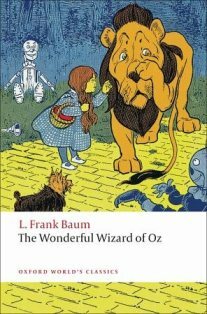 She lives in a farm in Kansas with her aunt and uncle when one day a cyclone sweeps her and her house into the land of Oz. The house lands on the Wicked Witch of the East, killing her. The Good Witch of the North congratulates Dorothy for ridding them all of that evil witch and sends her on her way to see the Wonderful Wizard Of Oz, the only one who could send her back home. And so, she starts striding along the yellow brick road where she makes three friends: the Scarecrow who wants a brain, The Tin Woodsman who want a heart, and The Lion who wants courage. Only they don’t need them because, during their journey, they prove they already possess them, which is the message of the book. But they haven’t realised it yet so they continue their journey. When they arrive to the Emerald City and manage to get an audience with the Wizard of Oz he tells them he’s willing to grant their wishes only if they kill the Wicked Witch of the West. And so, they set out on their mission. There were a couple of things I didn’t like about the book. First of all, all the witches and wizards are pretty much useless. Oz may be a fake, but even the real witches aren’t that powerful. The Good Witch of the North can’t send Dorothy home and the Wicked Witch of The East can’t seem to do anything without her army of Winged Monkeys. Secondly, Baum claims he wanted to create an innovative fairytale without the gruesome and gory things found in most children’s stories. Yet, the Scarecrow kills a bunch of wolves with an ax, and later on is dismantled. Even the Tin Woodsman doesn’t hesitate to chop off a cat’s head for chasing a mouse. I don’t really get what the moral here is. Cats chased mice to eat them in the days when canned food wasn’t available (and sometimes still do nowadays), yet the Tin Man thinks that’s wrong. You can’t kill a mouse to feed yourself but you can kill a cat for following its nature. Go figure. However, I like the fantasy world Baum has created and I applaud his idea and effort to create a different, innovate fairytale. What do you think of my idea of writing short books reviews? And have you read the ones I reviewed today? If so, what did you think of them?